Good news, Bruce Springsteen fans! The sold-out hit Springsteen on Broadway will be preserved live on an audio album, according to Rolling Stone. The recording will be released on December 14, one day before the show appears on Netflix and concludes its Broadway run at the Walter Kerr Theatre. Springsteen's acclaimed solo show began previews on October 3, 2017 and officially opened October 12. The show was extended three times after its initial eight-week run. 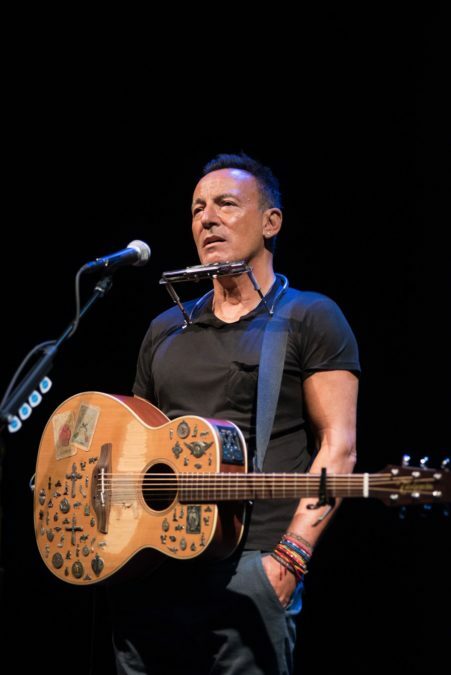 Springsteen on Broadway netted a Special 2018 Tony Award for iconic music maker Bruce Springsteen. Springsteen's recording career spans over 40 years, beginning with 1973's "Greetings from Asbury Park, NJ." Among his many additional accolades, he has garnered 20 Grammys, an Oscar, an induction into the Rock & Roll Hall of Fame and a Kennedy Center Honor.